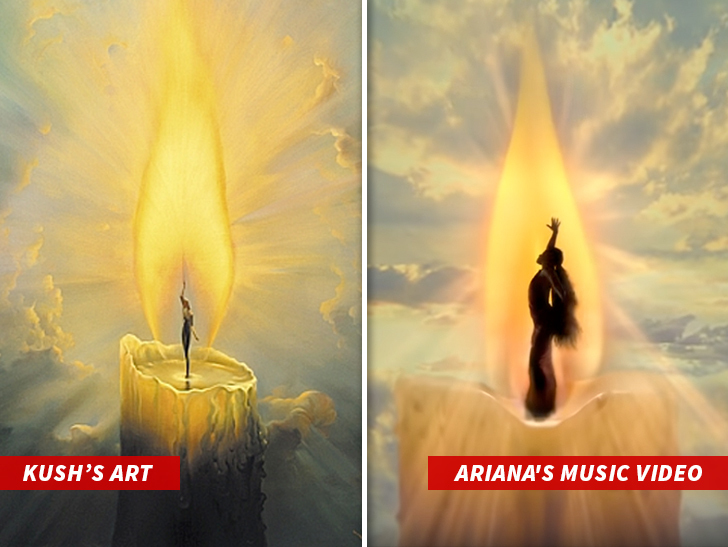 The sight of Ariana Grande dancing in a candle for her "God Is a Woman" music video was too much for one artist to stand because he says she stole the idea from his painting. According to the suit, the similarity is uncanny and a rip-off. Vladimir says Ariana's video features the same cloudy sky, ring effect of clouds around the flame and the same light beams radiating from the flame.